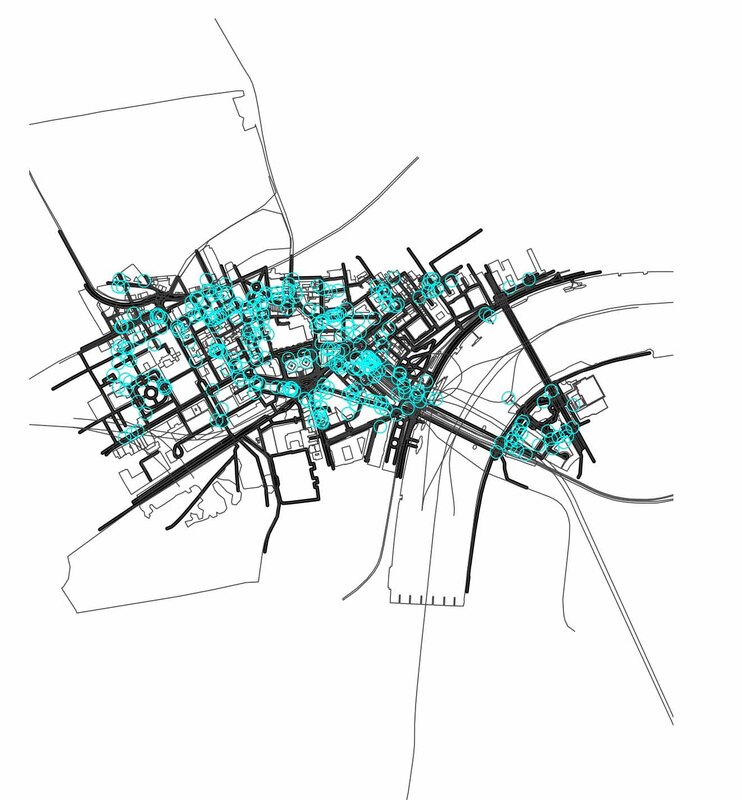 This project aims to estimate how ‘lively’ streets are. 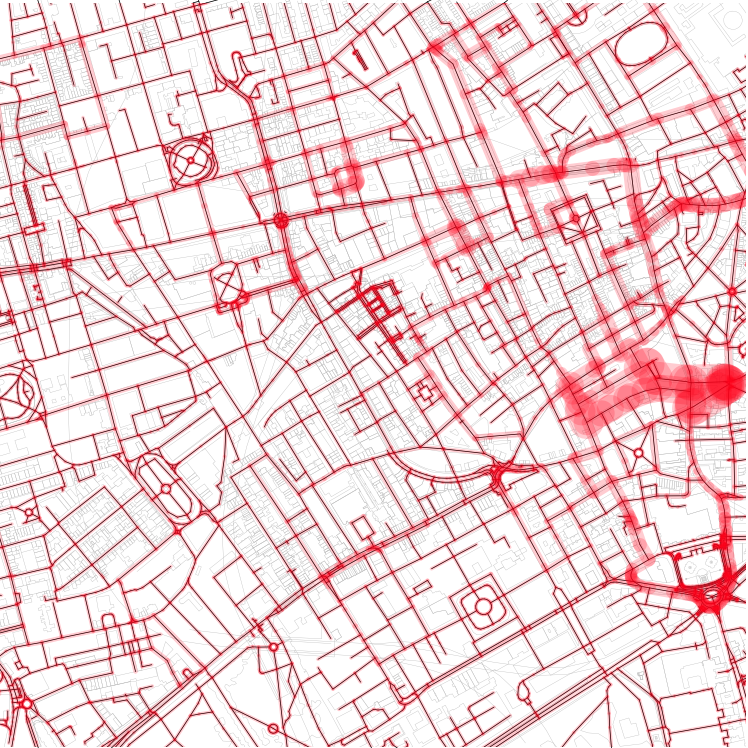 It provides a method that connects amenities (including public transportation hubs) with the closest nodes in the street network, calculates the shortest paths between each pair of amenities, and counts on how many shortest paths that are shorter than a given walking distance between amenities each street segments within the given area lies. Architects try to design vivid streets and public squares, and their renderings and visualisation of public spaces are often full of people. 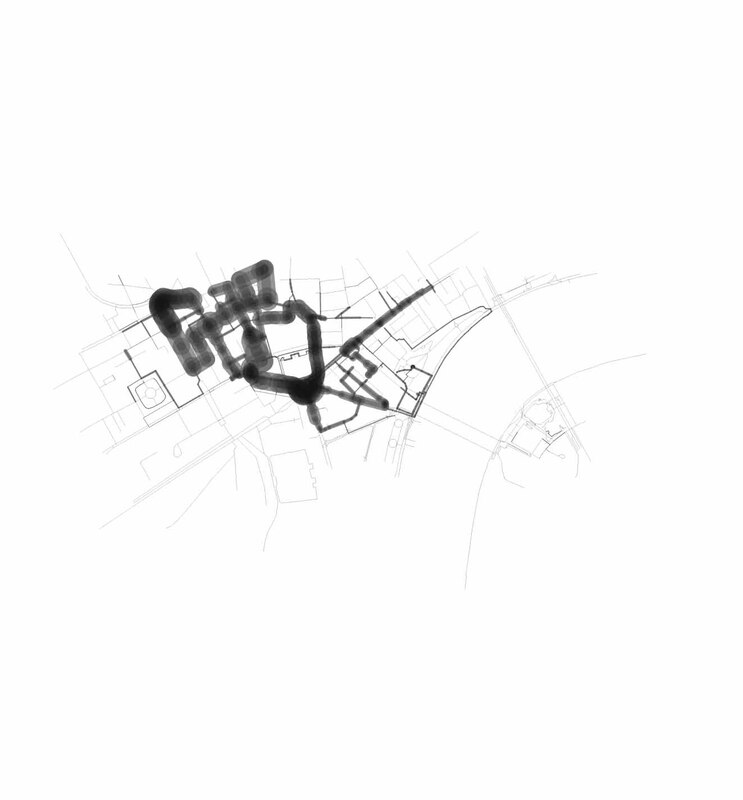 Wether these designs will lead to lively streets or not seems very hard to quantify: Streets and public spaces exist in all shapes and forms, with different buildings and geometry, in different cultures in different climates. 3. How people use it in order to get there - the route planning.